A lot of the elevator stories in China that go viral are tragic, such as the woman who died inside an elevator in an apartment building in Xi’an province because she was trapped for one month during the Lunar New Year break. 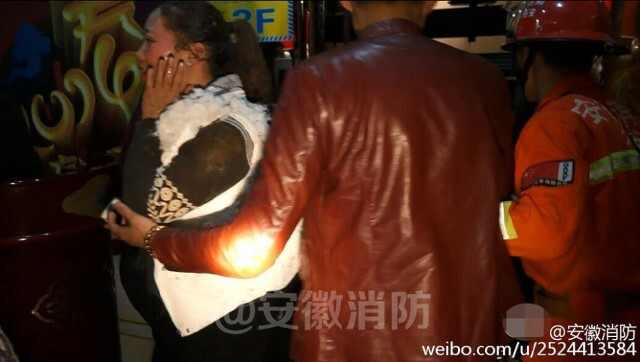 On Sunday, in Lu’an City, Anhui Province, eight people were injured after a prankster lit a lighter inside an elevator with people and 200 hydrogen balloons. The elevator passengers just came from a birthday party in a hotel and took with them some balloons for their children. The elevator was cramped, but some of the passengers, when they saw one elevator rider bring out a lighter, urged the prankster, “Light it! Light it!” Other passengers objected, but the prankster nevertheless proceeded, Shanghaiist reported. As soon as the lighter was lit, all 200 hydrogen balloons simultaneously exploded, causing the elevator to stop in between floors. The slightly injured passengers had to wait for the arrival of firefighters to rescue them. In July, there were also eight passengers inside an elevator in a construction site in Longkou City, Shandong Province. However, unlike the victims of the hydrogen balloon prank, the workers inside the elevator al died after the lift fell 18 storeys. The workers were all rushed to a hospital but all eventually died, Huffington Post reported.